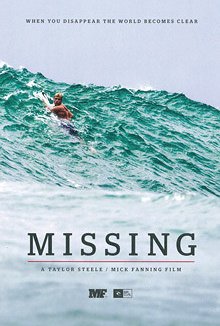 Taylor Steele’s brand new film – “Missing” – puts ASP World Champion Mick Fanning in some of the most radical places on the planet alongside his good friends John John Florence, Jordy Smith, Matt Wilkinson, and Tom Curren. Under the direction of the world-renowned film-maker, the project takes Mick Fanning out of the competition world of the ASP, gives him a boarding pass with a blank destination and for 21 days he is relocated all over the world with only a passport, suitcase and surfboard at his disposal. As a result, the surfing is special, raw, and some of the best that you’ll see on screen this year. From Africa and Ireland to Central America and Spain, the experience literally is life changing for Mick Fanning.